If you are having problems with sewer lines moving slowly, then you may need to have them cleaned out. Hydro Jetting is the means of cleaning your sewer pipes through the use of high intensity water. 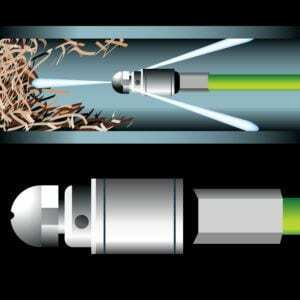 Hydro jetting helps cut through gunk and debris in your sewer lines and may be the answer to sluggish flushing and draining problems. Hydro-jetting is a drain cleaning method that uses water under pressure to break and eliminate the most stubborn drain clogs. The water is sent through a nozzle at up to 4,000 psi and blasts away hardened sludge, tree roots and practically everything else standing in its way. An experienced plumber can also use hydro-jetting to scrape the interior of the pipes without causing any damage to them. Hydro-jetting also serves as a great tool in preventing future plumbing problems. Since it cleans and unclogs the pipes completely, your home plumbing system will be secured from a whole lot of future plumbing issues. The video inspection alone can uncover any potential problems with your pipes, saving you plenty of time and troubles. Before hydro-jetting technique was implemented, the major method used for drain cleaning was drain snaking. This procedure involved applying a long cord with an auger on the end of it to drill through formed clogs in the drain pipe. Drain snaking is still used today and it still works in some situations but it is far less effective in preventing new clogs from forming again. Snaking and hydro-jetting both clear basic clogs and increase drainage speeds. However, hydro-jetting is a more powerful and top-notch method for sewer cleaning. Hydro-jetting does not only clear clogs but also minimizes the natural build-up of grease and minerals that accumulate inside of any sewer line over time. Whether your sewer is completely blocked or just drains slowly, hydro-jetting works in all cases. What else is Hydro-Jetting Used For? Hydro-jetting is quite contemporary method that cleans pipes of all sizes ranging from manholes to three-inch household holes. This allows absolute pipe cleaning without resorting to pipe replacement that could cause your business to close or lose profits. Depending on your business needs, hydro-jetting is to be done every three to six months. It is a chemical-free process, so business owners can be assured that their customers would not be exposed to chemicals in their pipes when the cleaning process is completed. Hydro-jetting is usually meant for the most serious clogs – the ones that won’t respond to any other method. It can be used for blocked household drains and sewer lines with obstructions that wouldn’t move. Sometimes, hydro-jetting is used as a preventative treatment in restaurants to clear garbage disposals, so there are no unpleasant surprises in the kitchen. Hydro-jetting method works great for the worst of the worst situations, and it proved to be a very effective technique. We provide you with state-of-the-art hydro jetting procedures that allow us to clean all debris from your pipes, resulting in them running as if they are brand new. While your plumbing system is designed to carry waste and debris downstream, sometimes they just become clogged with grease, hair and other debris. 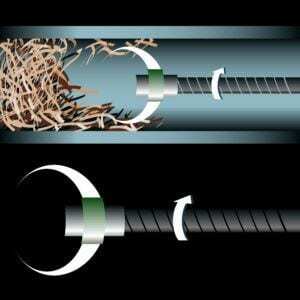 Using a hydro jetting process, we start at the end of your plumbing lines and force debris out. This process is used when traditional plumbing techniques such as snakes and plunger are not correcting the problem. Thank you for visiting the website of Hydro Jetting Services in Los Angeles, CA.